Paul graduated from the University of Toronto with a Bachelor of Science (Physiotherapy), Honours. He has over 20 years’ experience treating orthopaedic and sports injury conditions. Paul also received training and certification from Emory University in Vestibular Rehabilitation Therapy (VRT) for the assessment and treatment of dizziness, vertigo and balance disorders. He has additional postgraduate training in Concussion Rehabilitation Therapy (CRT), and is involved in research into best practice for concussion management. 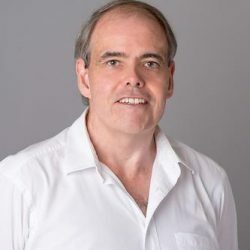 Paul has training and certification in Acupuncture from AFCI, and in Gunn Intramuscular Stimulation (IMS) from the University of British Columbia. His post-graduate education also includes training in manual therapy through the CPA’s Orthopaedic Division and in the Mulligan Concept.